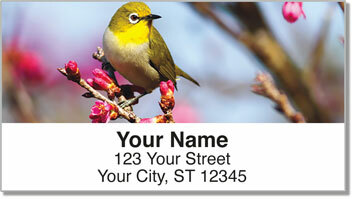 CheckAdvantage is pleased to offer these charming Backyard Birds Address Labels. 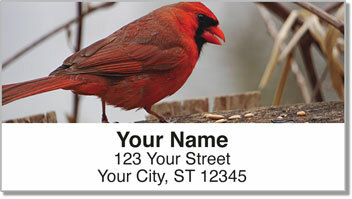 They'll satisfy the birder in you, especially when your binoculars are nowhere to be found! You'll love the close-up photos of unsuspecting goldfinches and other songbirds staking their claims to backyard bird feeders. 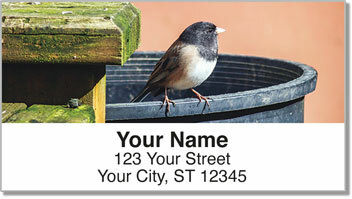 Every time you use one of our exclusive Backyard Birds Address Labels to identify your mail or other personal items, you'll be reminded of how our winged companions truly appreciate the hospitable comforts of a backyard feeder and bird bath! 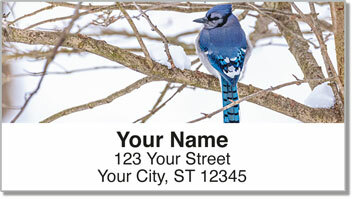 You can also get matching Backyard Birds Personal Checks; that way, you can demonstrate your fondness for our feathered friends whenever you write a check. Order both of these great personalized products today!